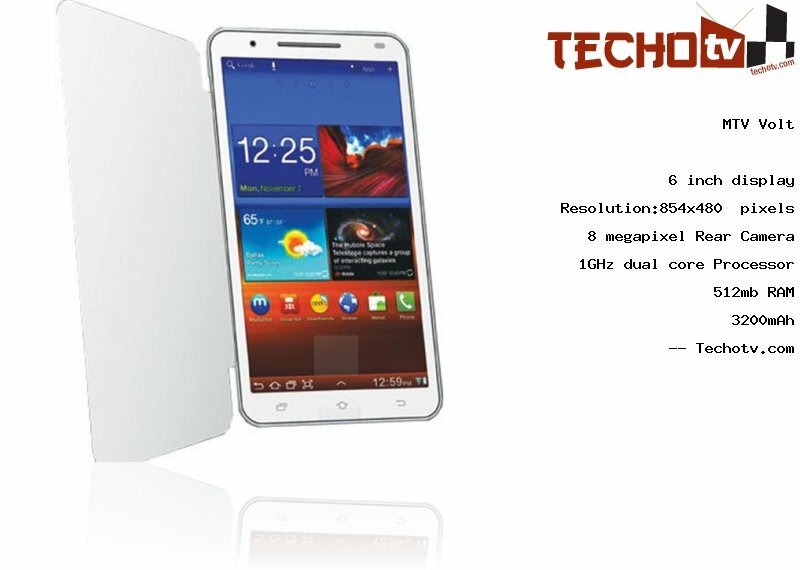 It packs 1GHz dual core CPU on board which is sufficient for average usage. There is just 512 mb RAM. The screen resolution of MTV Volt phone is 854*480 pixels and the display is of 6 inch. Since, the screen res is not very good, the pixel density is 163 ppi. It has internal memory capacity of 4 GB. The primary camera at the back of device is of 8 megapixel. There is 1.3mp camera at front for video-calling and other needs. This tab is by far the best budget tab out there, both, in terms of features and looks.